When Dan Ashbach and his "boys" decided to gift the women in their family with flowers, they went all out on a mission to create six towers for the ladies, as beautiful and maintenance-free as they could make them. After designing a self-watering flower tower that would burst with vertical color, they got to work. 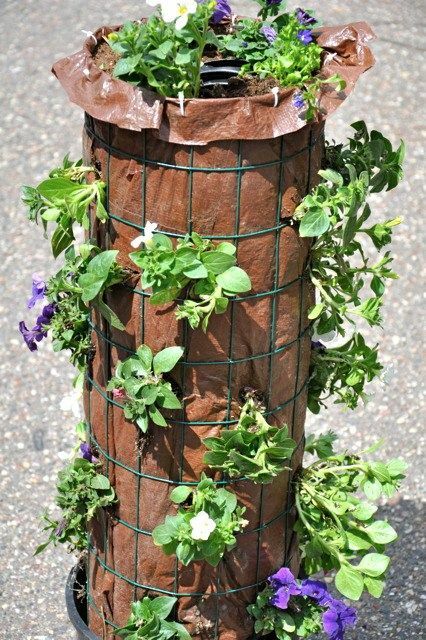 These are the materials they used for each creation: a large flower pot, drain tile, wire fencing, brown tarp, plastic ties, rocks, potting soil and flower starts. 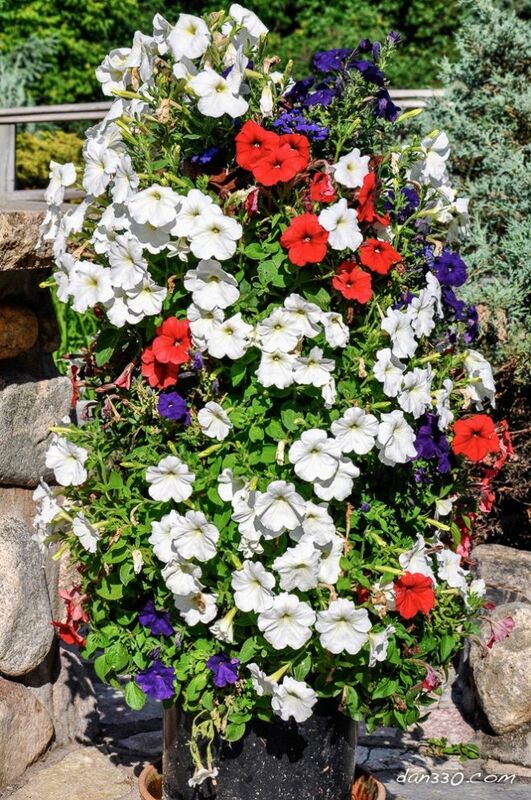 Dan chose red, white, and blue petunias so that the Mother's Day gifts would continue to bloom like Memorial Day flags and Fourth of July fireworks. After sealing one end of the drain tile with duct tape, insert the sealed end into the pot and anchor with several inches of rocks for good drainage. Bend the fencing into a circle and insert in the pot with the drain tile. The drain tile is the self-watering mechanism of the tower. Line the fencing with tarp and fill with good soil. Anchor the tarp in place at the top with plastic ties. Now plant your flowers at random intervals around the tower, using a knife to make small, upside-down T shapes at each planting place. 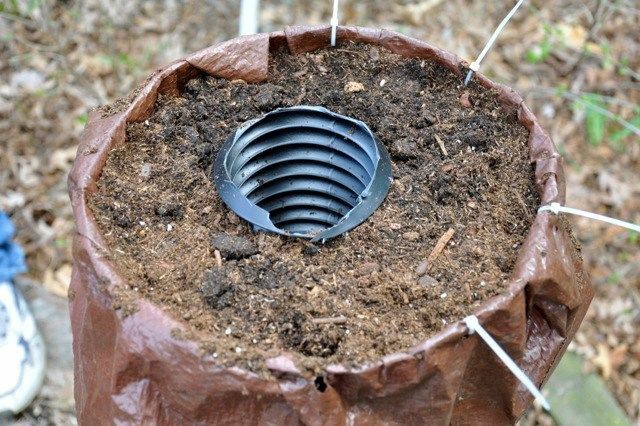 When cutting, be sure to make a small puncture in the drain tile at that location, creating a place for the water to seep out and water the plant just where it needs it. 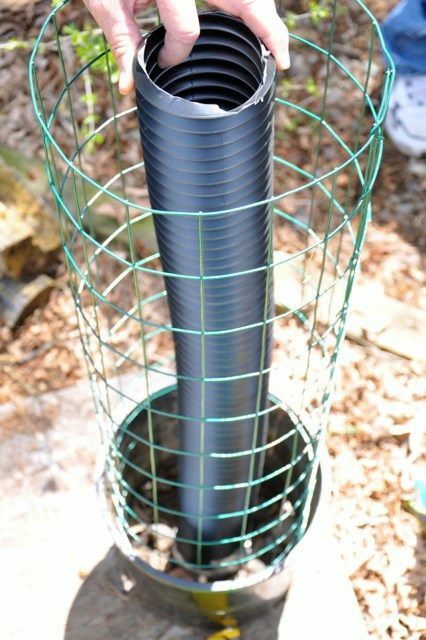 Water the tower through the drain tile every few days, and watch your beautiful garden bloom vertically! Visit Dan's Dan 330 website for complete do-it-yourself instructions. Vertical gardening is visually stunning, and it's practical too. Even the smallest spaces can be beautified or even put to work to provide food for the family: use a pallet to create an herb garden small enough for a balcony, or simply stack terracotta pots. Hang a shoe organizer or upcycled plastic bottles from any wall to make use of verticals that already exist in your domain. 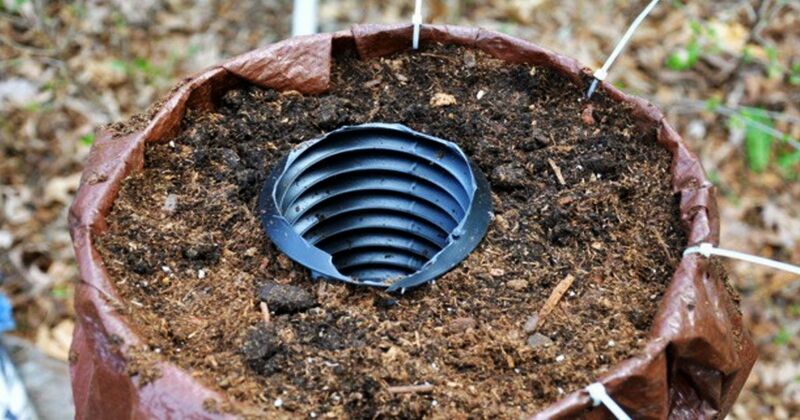 These techniques not only save space, they save your plants from digging animals! How have you gone vertical? Tell us in the comments and make sure to SHARE if you loved this idea! With just a few items, a woman creates a stunning addition to her garden.